Birthday today. Thinking of the fountain of youth. I'll sip to the future that will be embedded in my progeny. I'll fill my cup with actions based on what will be important to the seventh generation. I'll twirl my toes in the placid place of gratitude. I'll smile more and thirst less and gulp with appreciation every drop of life. May every swallow enable aging with grace. Let me float in today, always hopeful of tomorrow's possibilities, but not living with what Black Swan author Nicholas Taleb, (whose hedge fund was up 65 to 115 percent for the year) calls future blindness. Yesterday is already down the drain. May the waters of living artfully never ebb, nor the choice to live responsibly, for oneself, for others, for the world around us. May the act of leaving a place better for my having been there continue to be a refreshing experience, a way to quench any sense of living on the take. My gift: a bicycle. My day: with family and friends, in Tejas. My mother tells stories of times around when I was born. My children pay attention. Or not. We watch family movies taken when my father was a teenager in the 40's and 50s. Cheers. To all of my years. Every elegant man should have a nice fountain pen and a nice watch. Barack Obama: The economy is likely to get worse before it gets better. --Chains of habit are too light to be felt until they are too heavy to be broken. --It takes 20 years to build a reputation and five minutes to ruin it. If you think about that, you'll do things differently. 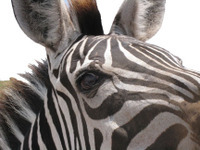 --In the business world, the rear view mirror is always clearer than the windshield. Benjamin Franklin: A penny saved is a penny earned. G.W. Bush: I will leave the presidency with my head held high. The story that never seems to die, that keeps readers coming to this site, is one about an urban legend that somehow got attributed to my daughter and I wrote about it two and a half years ago: Dead Dog Story: Not My Daughter. Three months later (this, mind you, is back in 2006), it took on a life of its own. The story inspired a short film in and I was sent the link in comments on my original post. Produced in Edinburgh (or released there) the short film was made as part of the 2008 48 Hour Film Project under the genre urban myth. So, as part of the never-ending story, here's the film (and my daughter is not the star). Yesterday it officially became a Recession with experts saying it will be a deeper and longer recession than any we've seen in three decades and it is now being called a Global Crisis. Looking at the art of it all of these things we are now naming, Time magazine's cover for October 13 takes us back to images of The Great Depression. What is interesting is that this Time cover art with the cover story headline The New Hard Times is on all four global regional issues for the week. Usually these covers are tailored for each market. Another digital visual of the moment: the U.S. National Debt Clock ran out of digits to record the spiraling failure as it passed $10 trillion. Time also had a good visual illustration of the global meltdown, and the cultural art as we go through this is part of the studies for the U.S. Economic Crisis Media Study I'm working on. Today the G7 meets and takes on the crisis. The $700 billion Bailout is now called Troubled Asset Relief Program while in the UK it is called a Bailout Plan as our crisis spreads globally. For us, we're thinking about the visual reference to the Soup Lines of the 1930s which makes us think: The Great Depression, redux. Mother this week reminded me of the saying: Eat it up, wear it out, make it do or do without. On my several trips to Guanajuato, Mexico, one of our favorite excursions was a trip to the Mummy Museum - which is also one of Mexico's top tourist sites. The dead are real and in a culture that celebrates Dios de los Meurtos, these are reminders that life and death are but a breath apart. I've been pulling my Day of the Dead collection from storage and realized we're not yet to All Soul's/All Saint's Day even with all the Halloween decorations out in the stores. I've just been putting fall harvest decorations up as my red chile ristras hang drying on the portal. When tourists visit the International Folk Art Museum in Santa Fe, they don't see mummies, but they are, if they aren't from here, fascinated by Alexander Girard's collection of Day of the Dead trinkets/folk art. This exhibit is just past the one on heaven and hell. The descanos -- the crosses at the roadsides marking the place of death and seen all over the Southwest now -- hold spiritual meaning for those from Latin America. They mark the sacred place of crossing over, they are. 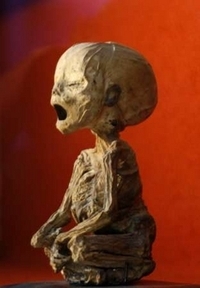 The smallest mummified fetus, right, is from that museum and was one of the top email photos of the year on Yahoo! and a Reuters PICTURE OF THE YEAR. The Guanajuato mummies were discovered in a cemetery in Guanajuato, northwest of Mexico City. They are accidental modern mummies and were literally "dug up" between 1896 and 1958 in order to make room for more recent burials. This photo is one everyone finds intriguing because in our anglo-dominated culture, we stuff death away and don't put it on view, discuss it, celebrate it or live with it. 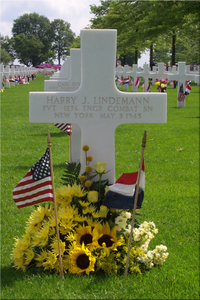 My Dad, now 74, wants to go to the Netherlands American Cemetery, to touch the cross that marks the grave of his double cousin, raised as his brother, who died in WWII. Boyd was adopted as a young toddler by my father's parents, because sister/brother married sister/brother and when Boyd's mother died, he became one of the five of my father's elder brothers. Boyd's last letter home talked of the risky venture he'd volunteered for -- parachuting into Holland. He knew he might die, he said. Sure enough, he did. A flurry of emails this spring, translated by interpreters, has connected my father to the family living near the Belgian border in Holland, that has, for several generations, maintained his cousin/brother's grave. I've been involved helping my Dad help these adopters collect geneology information for the cemetery records. We never knew that a Dutch family places flowers on special days on Boyd's grave and have symbolically "stood in" for American families of soldiers who can not visit the graves of their loved ones. My Dad once, long ago, expressed a desire to visit Boyd's grave. I've never really been aware of any other yearnings of my father. After this flurry, he's expressed this desire yet again. I hope my father can one day place his hand on the cross that marks the grave of Boyd and see his dream fulfilled. "When you are planning on coming to Holland in the future, we hope you will visit us. You are very welcome. And then we can visit the grave together." Yesterday, Memorial Day in Margraten, flowers were placed on Boyd's grave by Jo and Finy Sparla. So on this Memorial Day I honor Boyd and the Sparla family who has, for several generations, tended Boyd's grave in Holland and I thank them for their efforts to contact us to let us know, after all these years, that someone there...cares. Junk mail and spam and all that noise and clutter. It is hard for marketers to get through to women with the political message. Oh my. I've just written a huge rant. I just hate it when I get so verbose and go on and on and on. Is this what happens when women get to be my age? So, I'm putting my verbosious (rhymes with halitosis) rant on the flip. If you care.